Martial Arts Camp in Prague is a new unique program, which is aimed at the effective combination of language improvement and intensive physical activity. Participants of the program have an opportunity to practice their English with the native speakers and master fighting techniques during the summer vacation in Prague. More and more young and energetic people prefer to develop their mind and body. Martial arts, like other sports, develop strength of character, discipline, independence, and self-confidence. We offer students martial arts camp in Prague with European and world champions in kickboxing, MMA, Thai boxing, and K-1: Vladimir Idrany and Peter “Pino” Ondrush. Classes will be held on the base of the most modern and large fitness center in Prague – Xplore Fitness. This ultra new fitness center offers perfect conditions for the group and individual lessons. 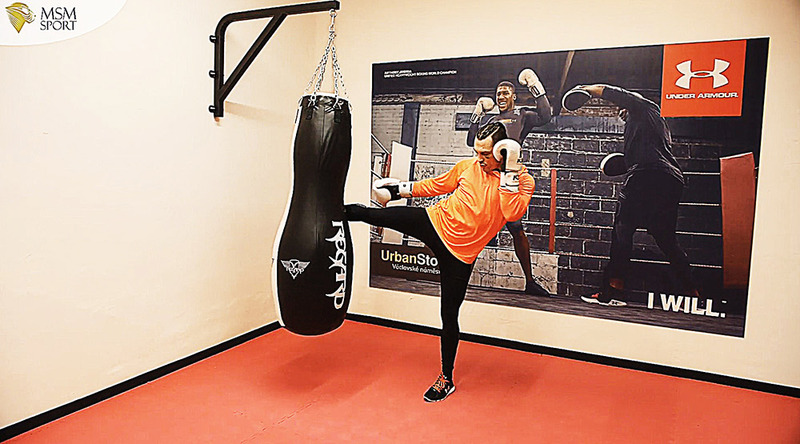 Daily Fitness also has a boxing ring, so conditions for the practice of martial arts are highly safe and professional. All the sports equipment is produced by the Star Trac company and corresponds to the latest world fitness trends. Training simulators for Daily Fitness were chosen by specialists, and the first to test them were Star Trac representatives Wayne Gordon and Jenny Pacey. This martial arts camp in Prague is suitable for both beginners and professionals. The camp is also good for all genders. All the participants will be divided into groups according to their combat skills. The main emphasis in training will be directed to the development of the legs and hands kicks, protection technique, blocks, various tricks, street self-defense, body stretching, reaction, strengthening of the physical condition and endurance. The training is absolutely safe, because conducted without contact sparring. Sending children to our martial arts camp in Prague parents can feel secure and do not worry that the training can result in the injury. K-1: sports discipline in the style of Thai boxing and kickboxing, which combines various martial arts aspects. The main difference between K-1 and kickboxing in using the knees, which is allowed in K-1, but not in kickboxing. Thai boxing: fighting sport, also known as the art of the eight limbs, because punches, hits with elbows, legs and knees are allowed. During the program, we also offer non-contact training for beginners in this direction. MMA: a fighting sport that includes punches and fighting on the floor. MMA is a unique combination of various techniques of other martial arts. This discipline is very popular among the younger generations. MMA training significantly contributes into physical fitness and gives the ability to relieve stress. Training without contact and sparrings, availability of all the protective elements and supervision of trainers make the martial arts camp in Prague absolutely safe for participants. We provide an opportunity to step into the world of sports, adrenaline, and motivation. MSM programs are an effective combination of education and training, which allows you to achieve maximum results! We want this program participant to win not only at the fighting ring, but in his life! We guarantee students an individual approach, regardless of the age and experience. We provide our students with the comfortable accommodation in the residences of Villa MSM (U Svobodarny), Dejvice, Orlik and Masarykova kolej. Photos of the residences you can find in the photo gallery of our official webpage.